History is being made this week with President Obama's visit to Hiroshima. He is the only sitting U.S. president to make the trip to the site of the first atomic bombing on Japan during World War II. Mary Popeo, of the nuclear disarmament group Global Zero, exclaims, "Having spent three summers in Hiroshima and Nagasaki working with the Japanese bomb victims and the Japanese peace movement, I can tell you that Obama's trip is a huge deal!" The President should use this historic opportunity to build support for the global treaty ending nuclear weapons testing. 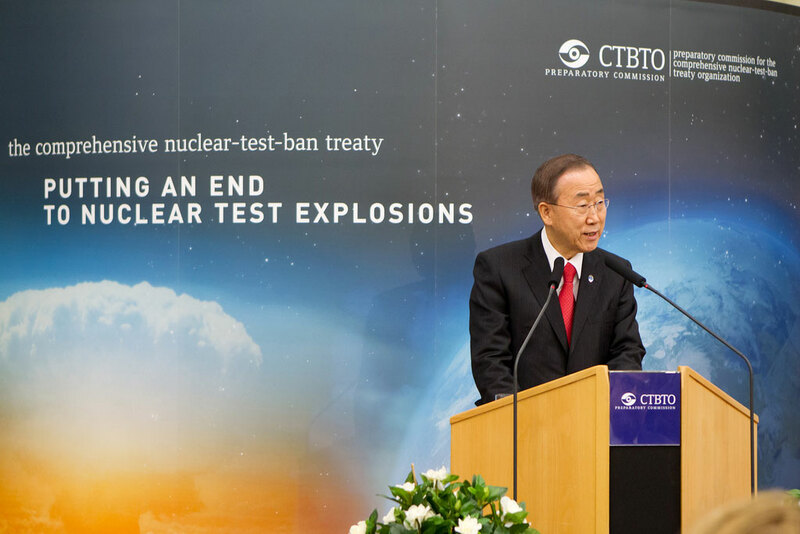 The Comprehensive Nuclear Test Ban Treaty (CTBT) is the key to unlocking the door to a future without the crushing burden and fear of nuclear weapons. But the United States, Israel, China, Egypt, India, Pakistan, Iran and North Korea have yet to ratify the treaty. So it has not taken effect worldwide. It just sits waiting for leadership to act. Most notably is the absence of the United States, the leading nuclear power. Now Japan has acted. They have ratified the treaty and been outspoken in its support. Japan is taking a leadership role with the Comprehensive Nuclear Test Ban Treaty Organization, trying to get every nation to join. We should listen to them. The atomic bombs dropped on Hiroshima and Nagasaki ended World War II, a conflict which caused so much suffering for Americans, Japanese and many other peoples. Ever since we have lived with the risk that these weapons could be used again. Only they would be even more powerful. Fumio Kishida, Minister for Foreign Affairs of Japan, quotes a Hiroshima survivor: "the threat of nuclear weapons, created by the wisdom of mankind, is a serious issue of human survival that cannot be ignored even for a day." 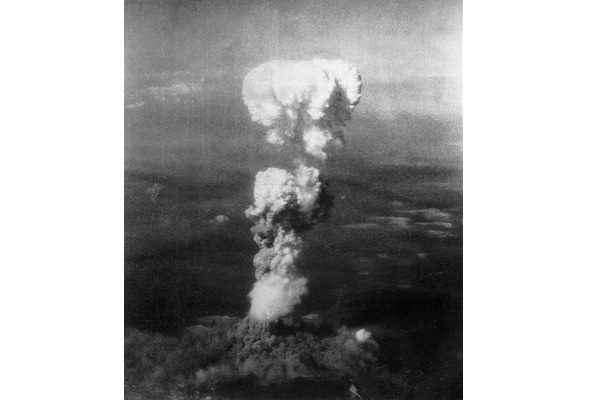 In 1946, the United States Strategic Bombing Survey studied the effects of the atomic bomb. Their report concluded: "No more forceful arguments for peace and for the international machinery of peace than the sight of the devastation of Hiroshima and Nagasaki have ever been devised. As the developer and exploiter of this ominous weapon, our nation has a responsibility, which no American should shirk, to lead in establishing and implementing the international guarantees and controls which will prevent its future use." During the Cold War nuclear weapons testing by both the United States and the Soviet Union proliferated, causing major international tension. President Dwight Eisenhower, in his second term, was influenced greatly by his science advisors that a ban on nuclear testing was possible and essential for national security. Eisenhower, in a 1961 interview with Walter Cronkite, said that not achieving a ban on nuclear testing would "have to be classed as the greatest disappointment of any administration -- of any decade -- of any time and of any party." He thought it was vital to take the expensive burden of nukes off the backs of mankind. Ike's efforts helped lead to a limited treaty signed by President Kennedy in 1963 banning nuke explosions in the atmosphere, underwater and outer space. It had the support of both Republicans and Democrats. In fact, Eisenhower administration members worked to help Kennedy achieve passage of the treaty in the Senate. But with underground tests allowed to continue the treaty was only a stepping stone. We have not yet taken that crucial next step. The United States had a chance to ratify the Comprehensive Nuclear Test Ban Treaty in 1999 when Bill Clinton was president. They could have slammed the door on nuclear testing for good. Former Eisenhower aide and leading national security advisor, General Andrew Goodpaster, wrote to the Senate urging them to vote in favor of the treaty. The CTBT was rejected by the Senate in late 1999 much to disappointment of the world. The Republican Party, which had done so much to advance the cause of ending nuke testing, turned against it in that Senate vote. This was a major blow for nuclear arms control, disarmament and peace efforts. Today, the United States and Russia still have thousands of nukes each. And China, India, Pakistan and other nations are well armed with nukes. With no treaty in effect, nations could resume testing nukes at any time. This would cause a major arms race. The risk of nuclear terrorism or accidental launch make nuclear disarmament a very crucial goal for all nations. Then there is the cost. Global Zero estimates that nations will spend a trillion dollars on nuclear weapons over the next decade. How can we justify pouring money into these weapons when there is so much hunger, disease, and poverty? These issues threaten stability more than anything. Look at the massive number of refugees around the world. We can't ignore their plight. So all nations share a common interest in getting the burden of nukes off their backs. But reducing nuclear weapons is not something you achieve overnight. You have to build confidence in the process. The Comprehensive Nuclear Test Ban Treaty is a step that the United States can take now. The Republican led Senate could show leadership for peace and ratify the treaty. President Obama would sign it. We have no need to test nuclear weapons because computer technology under the Stockpile Stewardship program monitors their safety and reliability. Vice President Joe Biden says "our labs know more about our arsenal today than when we used to explode our weapons on a regular basis." The International Monitoring system of the treaty has detected all of North Korea's nuclear tests. There are stations all over the globe, so it becomes extremely difficult, if not impossible, for a nation to cheat. Japan wants to work with the United States on ending nuclear testing and building a world with no nukes. The visit by President Obama to Hiroshima this week is a fantastic opportunity to invigorate this peace movement. Japan and the United States, once at war, can now walk together in peace. What more fitting than for the two nations to lead a global movement to eliminate nuclear weapons. The right place to start would be to end nuclear testing by ratifying the Comprehensive Nuclear Test Ban Treaty. Originally published at The History News Network.